Mumbai: The Reserve Bank of India (RBI) said on Monday that inflation continues to be stubbornly high, but pointed out that growth is also slowing considerably, in what appears to be a shift in tone a day before the central bank’s quarterly review of monetary policy. In its report on the economy for the second quarter of fiscal 2012, RBI did not spell out its policy stance, but analysts read its tone as being far less hawkish than previous reports and policy documents. The central bank has thus far been attacking inflation with single-minded determination by tightening monetary policy, even at the risk of a deceleration in the pace of economic expansion. The change in tone may mean that interest rates in the economy are peaking and Tuesday could see the last rate increase in this cycle even as banks have not passed on RBI’s 16 September hike of 25 basis points (bps) in lending rates. One basis point is one-hundredth of a percentage point. The bond market has already priced in a 25 bps increase in RBI’s key policy rate and the yield on the benchmark 10-year paper remained unchanged at 8.815%. But after the release of the Monday report, a few analysts said they would not be surprised if the central bank pressed the pause button and didn’t go for yet another rate hike to tame persistently high inflation. “Growth risks have increased on global headwinds, while inflation continues to be sticky, adding to the complexity for monetary policy," the report said. Wholesale price inflation in September was 9.72%, marginally lower than 9.78% in August; it has remained over 9% for the past 10 months. “The statement read less hawkish with a focus on both declining investments and sticky elevated inflation," said Amol Agarwal, economist at STCI Primary Dealer Ltd, a firm that trades in government bonds. “While persistent high inflation is impacting growth, investment is slowing. This will have an adverse impact on potential growth," the report warned. The investment cycle, according to RBI, “appears to be turning for the first time after 2003-04". Even though many read in this a hint that RBI may opt for a pause, it is difficult to predict what Tuesday’s policy will contain as RBI also said moderating growth doesn’t mean that inflation targeting has to be compromised. “Even as the global growth cycle seems to be turning, persistence of inflation at high levels would continue to need to be factored in the policy," it said. RBI noted that since December, inflation was becoming generalized as the major contributor of the price rise has been non-food manufactured products. “High inflation that is broad-based across a whole range of items covered in the price index is only feasible with the support of buoyant demand," RBI’s report said. “Loan demands for new projects have completely dried down," said Rupa Rege Nitsure, chief economist at Bank of Baroda. “The credit growth in the banking system is now because of disbursement of past proposals. If there is no fresh demand now, next year’s credit growth numbers will be very bleak." RBI had warned of a “soft patch" in investment in May, but the “soft patch has now extended beyond what was anticipated as in addition to the impact of monetary tightening, other factors have impacted business sentiments", the report said, adding that firms are reluctant to expand capacities. Independent professional forecasters employed by RBI revised their gross domestic product (GDP) growth forecast down to 7.6% from 7.9% earlier for 2011-12 and to 7.7% from 8.3% for 2012-13, indicating the sombre mood in the economy. “Small and medium enterprises are feeling stifled because of the higher input costs and interest rates. 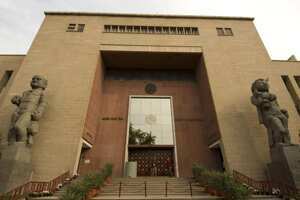 Even if RBI hikes rates, banks will again absorb it like what they did last time," said Nitsure. The recent weakening of the rupee against the dollar—11% in 2011-12 to more than 50 a dollar—is also emerging as a new source of inflation as imports become costlier, pushing up inflation further. India’s imports account for about 22% of GDP, and depreciation of the rupee raises the risk of imported inflation, RBI said. However, even as industry groups are protesting about rising interest rates, RBI’s report clearly said such steps are not to be blamed. The share of interest cost in total costs has remained largely unchanged over recent quarters and is at a low level, it said. The price increase, rather, is because of the “greater role of other input costs", indicating it is imperative for RBI to control inflation with the aid of fiscal policies to ensure higher supply. Inflation may moderate only in the later part of 2011-12, RBI warned, but it will broadly remain in the same level as projected in the first quarter policy—at 7%—as upside risks are now balanced. RBI prodded the government to create a fiscal space “within the framework of fiscal rules", as room for anticipatory actions to rein in inflation is getting “limited". It said India’s “fiscal policy space" may be constrained if inflation stays elevated. On current assessment, India is unlikely to meet its budget deficit target for the year through March, RBI said. Finance minister Pranab Mukherjee had aimed at narrowing the budget deficit to a four-year low of 4.6% of GDP by 31 March. “RBI doesn’t have the comfort compared with other nations given the acute inflationary pressures India is facing," said Anubhuti Sahay, a Mumbai-based economist at Standard Chartered Bank. “Though there are risks to growth, RBI will prefer to tighten rates in its fight against inflation." Sahay is among the 18 of 28 economists in a Bloomberg survey who expect RBI to boost its repo rate by a quarter of a percentage point to 8.5% on Tuesday. The rest expect no change.